Ellie O’Neill and Graham Larkin become close friends when he accidentally emails her about his pet pig. The two start an email correspondence without even knowing each other’s first names. What Graham doesn’t know is that Ellie is the illegitimate daughter of a politician, and what Ellie doesn’t know is that Graham is one of the biggest movie stars in Hollywood. When Graham’s new movie starts filming in Ellie’s town of Henley, Maine, their real-life identities are revealed. Their two worlds are about to collide, and neither makes the impact the other will have. This is one of my favorite books of all time. I read it years ago, and recently I found it at Half Price Books and knew I had to have it. Ellie acts as cool, calm, and collected as the rest of us wish (hope!) we would if we found out the boy we’ve been talking to is a Hollywood A-Lister. Her sarcasm and wit make her fun and interesting, and her entire plot doesn’t only revolve around Graham, which was refreshing. She isn’t an obsessed fan whose wild dreams are coming true because she gets to hang out with THE Graham Larkin. She stands on her own. Graham is an equally interesting and flawed character as well. He isn’t the stereotypical rebel or bad boy Hollywood kid who is constantly getting into trouble. I would definitely recommend this book for anyone who likes small town teen romance books, but also to anyone who wants a great new book to read. While the book is 404 pages long, it’s still a quick read (at least for me, as I devoured every page of it :)) If you have read it, let me know what you thought! Connect with the author! 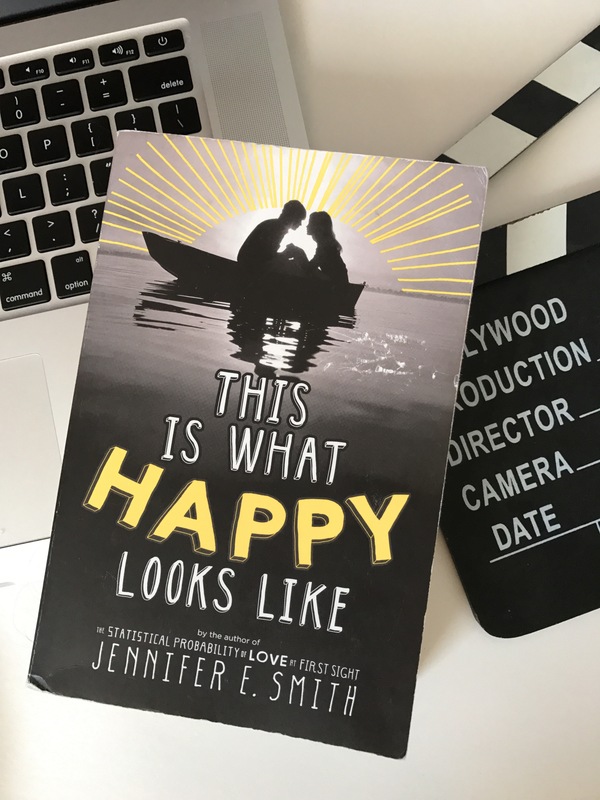 You can follow Jennifer E. Smith on twitter at @JennESmith and on Instagram at @jenniferesmith!